TVs, radios, mobile devices, home entertainment, laptops, tablets, cameras, computer hardware, game consoles, drones, external or integrated VR/AR devices, sound systems, etc. Electronic devices may be aimed at consumers or businesses. September 2014 Apple launched iPhone 6, a new form factor, with a stunning success. Post launch we wanted something iPhone could own to continue its momentum. iPhone 6's camera had become its most loved feature, but the category convention was to talk about cameras in megapixels. We disrupted the category by focusing on the result; the incredible photos and videos being captured with the device. 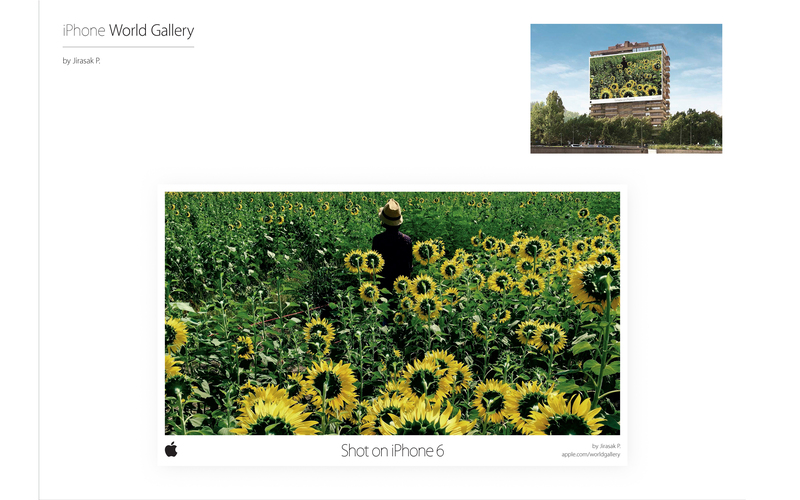 By doing so "World Gallery", the world's largest mobile photography gallery, celebrated iPhoneographers around the globe, while raising the bar and changing the category conversation.